Have you ever experienced the effects of flying? The dehydration, strong emotions, achy joints and lack of clarity? There are few human inventions greater than the advent of air travel, but the truth is that human bodies weren’t made to fly. Being sealed in a metal tube 30,000 feet above the ground has physical effects (like dehydration) but also has some serious ramifications when it comes to your mood. 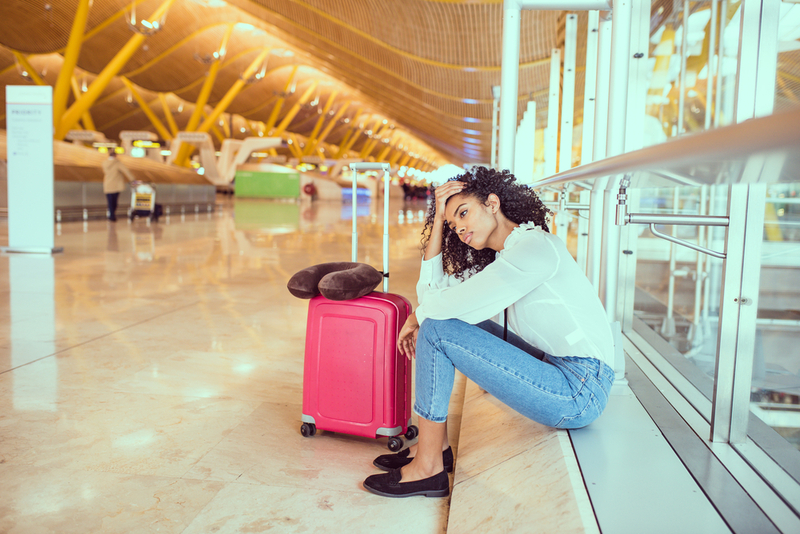 Blame the cramped space or the radiation our bodies are absorbing, but there’s no denying that flying takes its toll every time we board a plane. These physical and emotional effects are unnerving, and they can also lead to added stress on our immune systems. If you’re taking a flight soon and want to remain as healthy as possible, read our guide to mitigating the ways that flying can mess with your mind and body. If you’d like to get an early start on prepping your body against the effects of flying, there are a few ways you can bolster your immune system before you even board your plane. Avoid drinking alcohol and load up on water. It’ll help you combat some of the dehydrating effects of your flight. You can also start taking probiotics a few days before your trip to help give your immune system a head start; heading outdoors will also give your immune system a healthy boost. If possible, try not to stress too much about your upcoming flight. Getting extra sleep before your trip will also help you prepare for the stress of traveling. The recycled air in airplane cabins has little to no moisture, so you’ll want to plan for different ways to bring moisture back into your body. This includes making sure you’re drinking water regularly to combat the dehydration. Not only do you need to drink water, but you can also keep your nasal passages hydrated with a nasal spray, as well. Moisturizer, eyedrops and chapstick come in handy as well, so don’t forget to pack those into your carry-on. If you have a long flight, the best way to pass the time and keep your brain sharp is to take a nap. Invest in good earplugs and a firm neck pillow if you have difficulty falling asleep on planes. When you’re not dozing, change positions every 10 minutes. Get up and move around every 30 minutes or so to stretch your muscles, avoid the risk of blood clots and to help stimulate the lymphatic system. If you find the air travel is starting to mess with your mood, try downloading a meditation app on your device and zone out for a bit. To reduce the effects of flying, experts recommend doing two things when your plane lands: move around for 15-20 minutes and drink a lot of water. You’ll stimulate your lymphatic system(ultimately boosting your immunity) by moving around, and you’ll need hydration after a long flight. Walk around, stretch a little, and enjoy your destination.